According to a recent ranking by the U.S. Chamber of Commerce Foundation, Mayor Walsh and the city of Boston are the worst city for an entrepreneur to open and run a food truck. 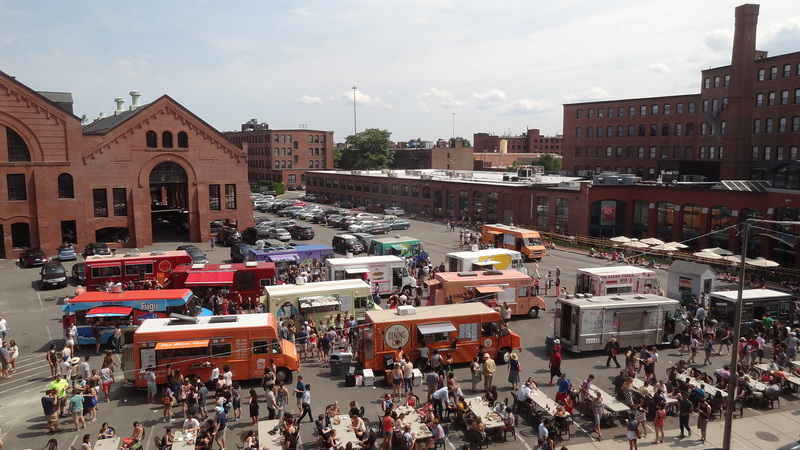 The Food Truck Index – an industry that contributes more than $2b nationally – finds that Boston is prohibitively expensive and is overly bureaucratic. The index, reviewed regulations in twenty of America’s largest cities. They focused on the permitting processes and licensing, complying with restrictions and operating a food truck. The findings were based on on fees, trips to government agencies and the number and level of government procedures from nearly 300 food truck operators in the twenty cities. While I don’t expect (or want) to live in a city where there is no oversight, it seems like Mayor Walsh and the City of Boston are openly hostile to the food trucks. For example, in Denver, food truck operators need to make 8 trips to licensing agencies, follow 10 procedures, and pay an average $811 to get their trucks up and running. In Boston, the average cost in fees is $17,066, and to add insult to injury they must make nearly 3X as many trips (22 trips) to government agencies to ensure they are in compliance with more than 30 procedures. When you compare the out-of-pocket cost for obtaining permits and licenses for a new food truck in Boston it is so incredibly out-of-step to other cities. Even Seattle which ranked 19 out of 20 cities only costs $6,211 (almost 3x less). 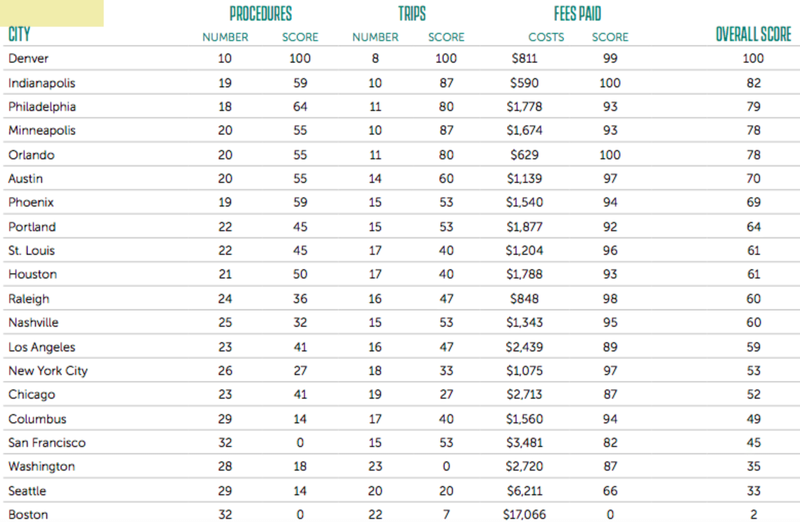 If you remove both Boston and Seattle from this list, the average cost in fees for the remaining 18 cities is $1,622; Boston’s fees are roughly 10X that amount. The astronomical cost associated with permitting and licensing doesn’t stop there either because operating a food truck in Boston is estimated to cost nearly $38,000 in Boston (also ranking us last). Realizing that the cost of operating a food truck in a city like Boston is going to be more expensive than many places in the U.S., the least the city could do is make the licensing and permitting process more affordable and less onerous. Mayor Walsh – Boston can do better than this.